Wedbush Morgan analyst Michael Pachter expects the PS4 to outsell the Xbox One by 30% through 2016. While the PlayStation 4 and Xbox One era has just begun, that hasn't stopped Wedbush Morgan analyst Michael Pachter from already picking out a winner. 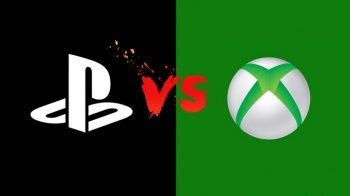 Over the holidays, Pachter released his industry forecast for the next three years and claims the firm expects the PS4 to "win" the next-gen console war over Microsoft's Xbox One. Pachter estimates the PS4 to post cumulative global sales of 37.7 million units by the end of 2016, which is 30% higher than his expectations for the Xbox One's 29 million units sold within the same time frame. In his projections, Pachter makes a few assumptions regarding retail price cuts for both the PS4 and Xbox One, with the PS4 expected to drop to $299 over the next three years, while Microsoft is expected to make a bigger price reduction of $150 per unit to put the Xbox One at $349. Having pegged the PS4 as the winner, Pachter does think Microsoft can throw a curveball by cutting the Xbox One's price earlier and claims, "it is possible that Microsoft will reduce Xbox One pricing far faster than we have forecasted. Should hardware prices come down faster than we have modeled, it is likely that hardware and software sales will grow faster." Just in case you're wondering, the Wii U hasn't been left out, with the report citing that they expect Nintendo to hit 20 million units sold by the end of 2016 at a price point of $150 per console. Do you agree with Pachter's projections? If so, how do you feel about Sony dominating console gaming once again just like it was during the PS2 days?